Frank Accornero is a highly regarded industrial robot programmer and trainer, a thermal spray coating technology expert, and owner of the consulting firm Robotic Synergy LLC. His career in coatings and robotics of over 20 years includes; integrating thermal spray technology, safety devices, ancillary devices, and robotic control at Praxair Surface Technologies. His clients have included ABB Power, Beijing Institute of Technology, Chromalloy, Cooper Power, Delta Airlines, FIAT, Florida Institute of Technology, Ford Motor Company, General Electric Company, Kelly AFB, Mitsubishi Power Systems, Pratt Whitney, Roll-Royce, Siemens Energy, SUNY, and Tinker AFB. 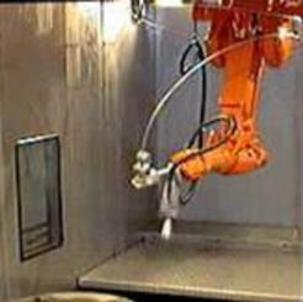 He is an authorized trainer for ABB Robotics in the area of thermal spray coatings. 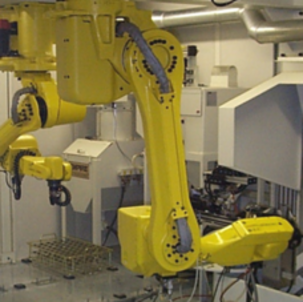 Frank also has experience with other robotic manufacturers such as FANUC and MOTOMAN. In addition to robotics, Frank is knowledgeable with various computer and PLC programming. He is successful with integration of multiple platforms of computer systems, robotic systems and PLC systems. Frank has a passion for continuous improvement of thermal spray coatings, coating processes, and for implementation of robotic process control in general. During Frank’s career he has demonstrated a working knowledge in coatings and coating structures. He also is fluent in metallurgy and how to use the metallurgical lab to prepare samples and use equipment to determine the structure as it relates to various customer specifications.